BMW India which has been present in the country since 2006 has its own manufacturing facility in Chennai. This plant which was opened in 2007 now produces most of BMW's passenger cars and SUVs excluding the M range. 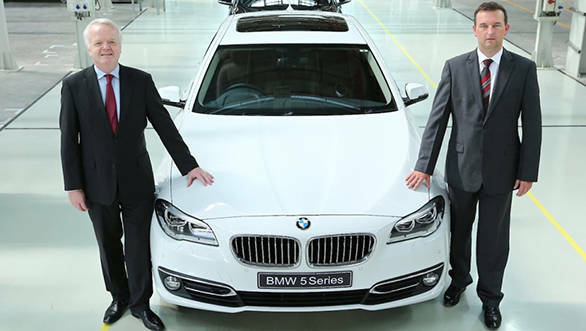 The Chennai plant has now rolled out its 40,000th car in the form of a white 5 Series. Around Rs 400 crores have been invested in this plant by the German manufacturer. On a double shift, the plant can manufacture up to 11,000 cars in a year. BMW will be launching the new M3 sedan and M4 coupe in India as well as the Mini this Novembers. Along with this, the i8 super car and new M5 are also expected to be launched this year. 2019 Honda Civic vs Skoda Octavia vs Toyota Corolla | Comparison Test..